Glamoursplash: Keep Trim, Keep Fit, Swim! Keep Trim, Keep Fit, Swim! Keep Trim, Keep Fit, Swim! 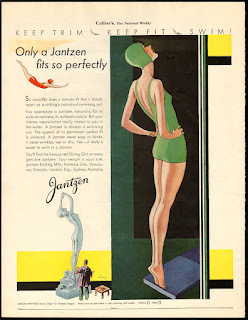 It's the headline for a Jantzen ad from 1931. 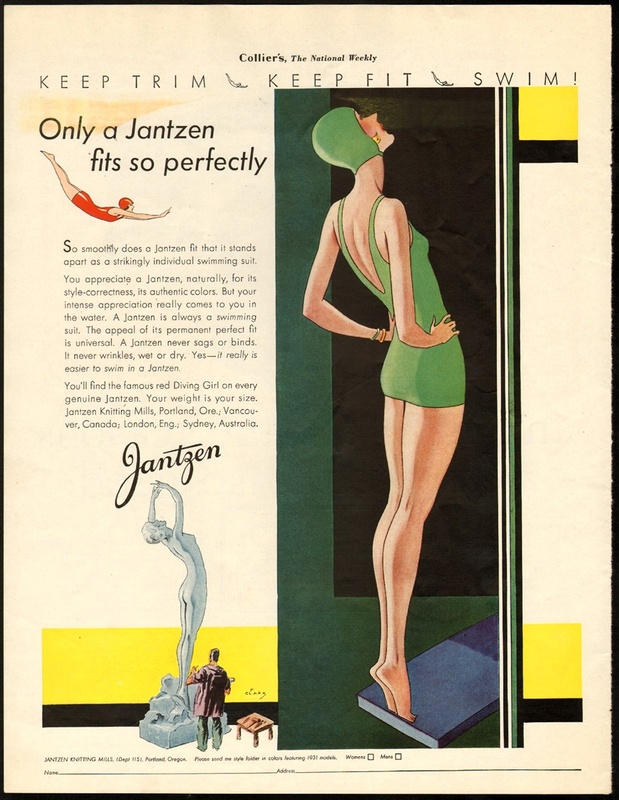 I love the interplay of this ad with the model getting ready to take a back flip, the sculptor carving out a perfect pose, and the 'famous' Jantzen red diving girl. Keep in mind, this suit was made of wool, and yes, it was made for swimming!